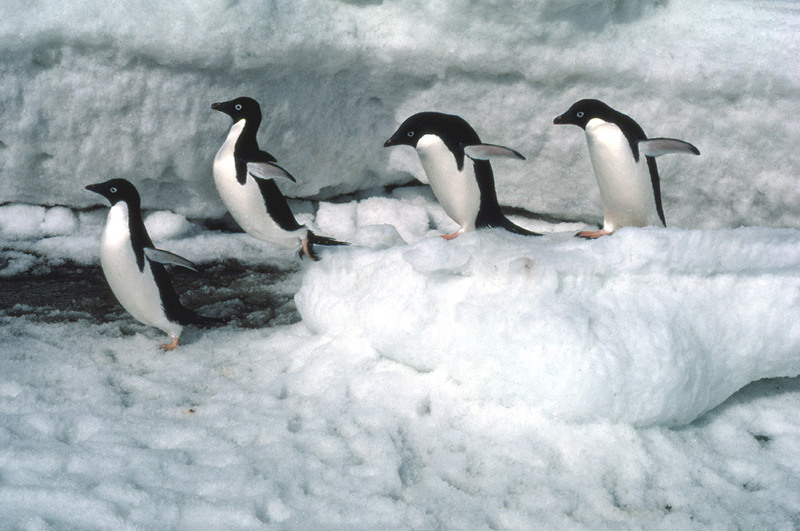 There are more Adélie penguins than any other penguin species. 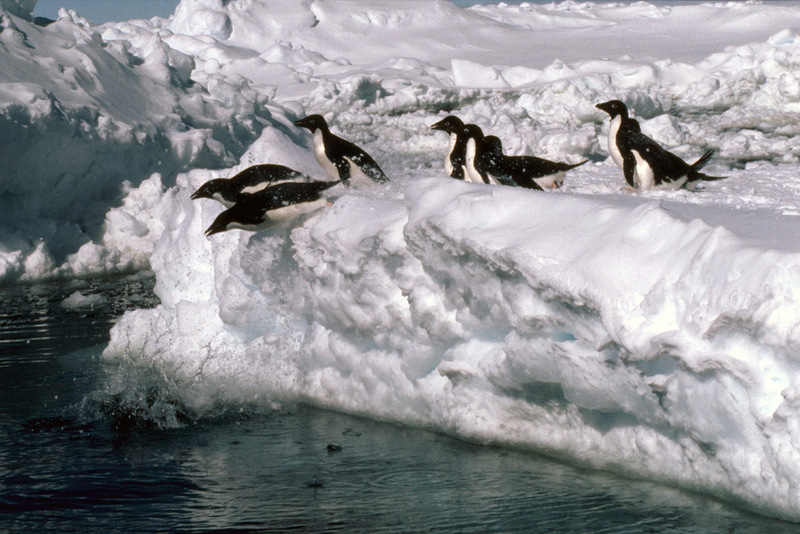 They live in the deep south and frequently have to cross many kilometers of sea ice to reach land in the spring to build their nests. 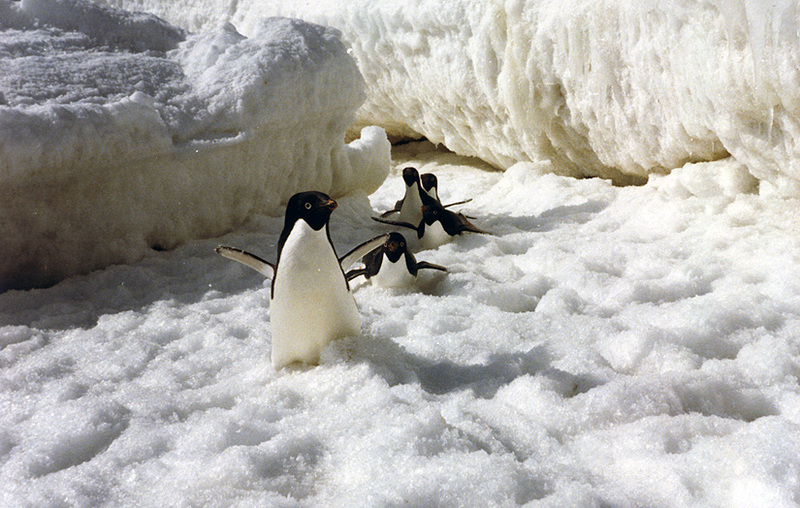 Adelie penguins live further south than any other type. 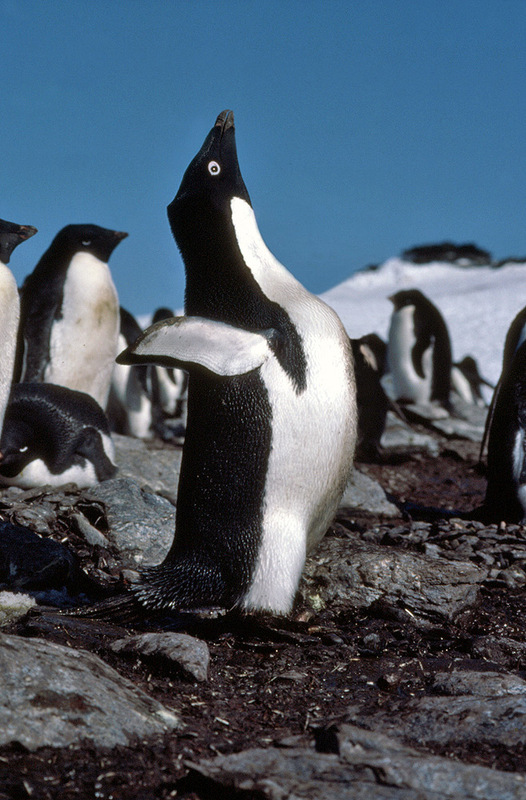 How big are Adelie penguins? 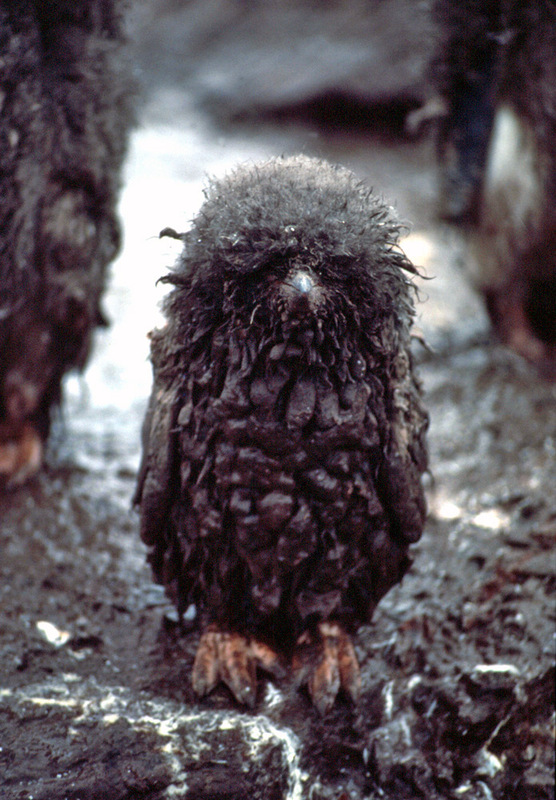 when do they nest? 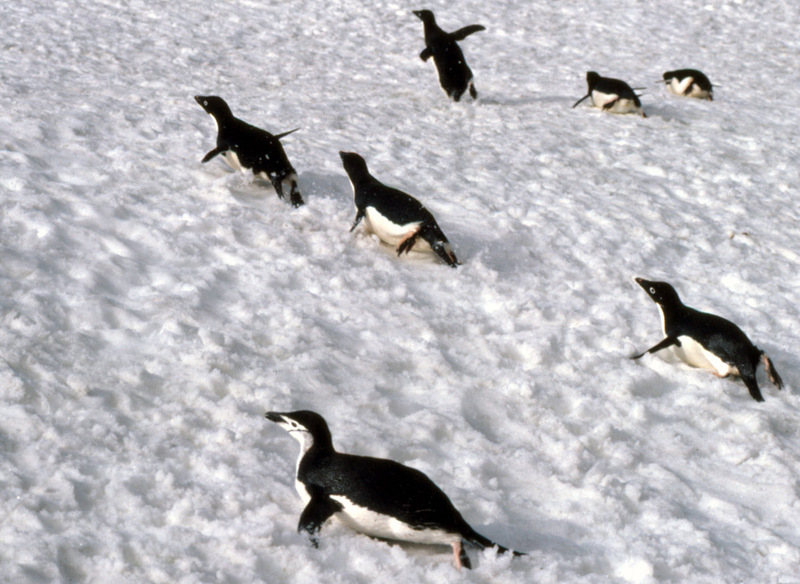 Why are these penguins hopping about on the ice? How long were they stuck? 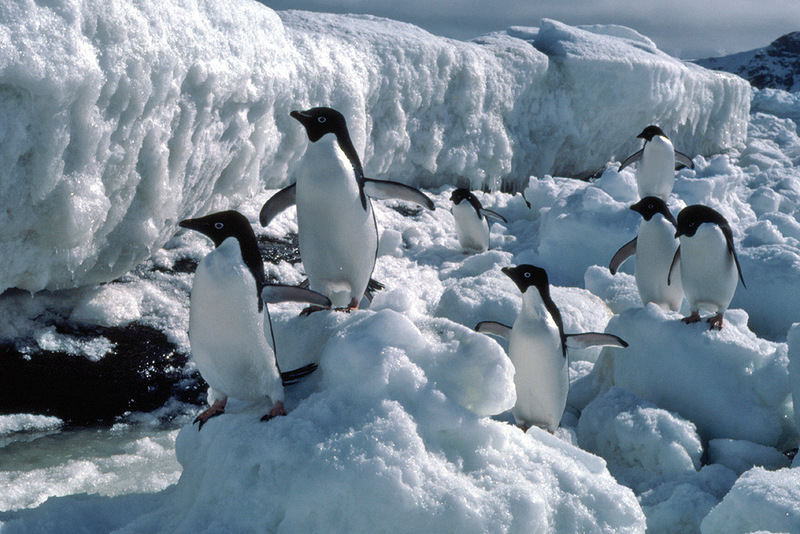 Are there any problems in photographing penguins in these conditions? 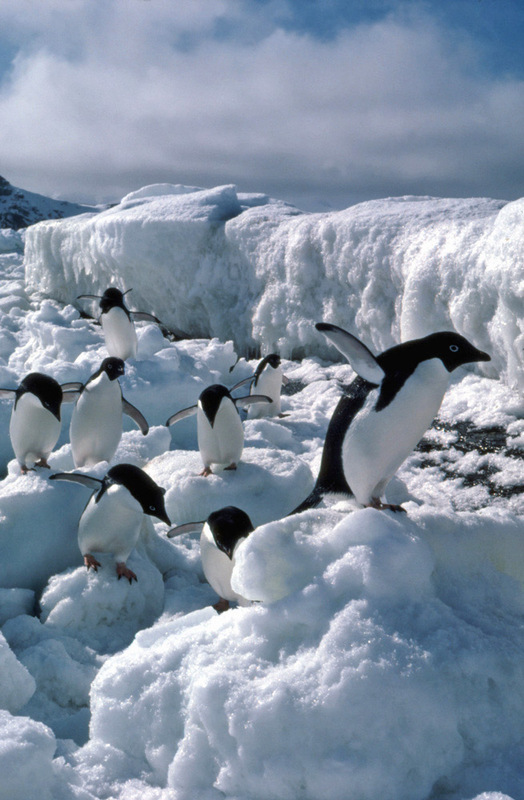 Why is this penguin showing off? Surprise! 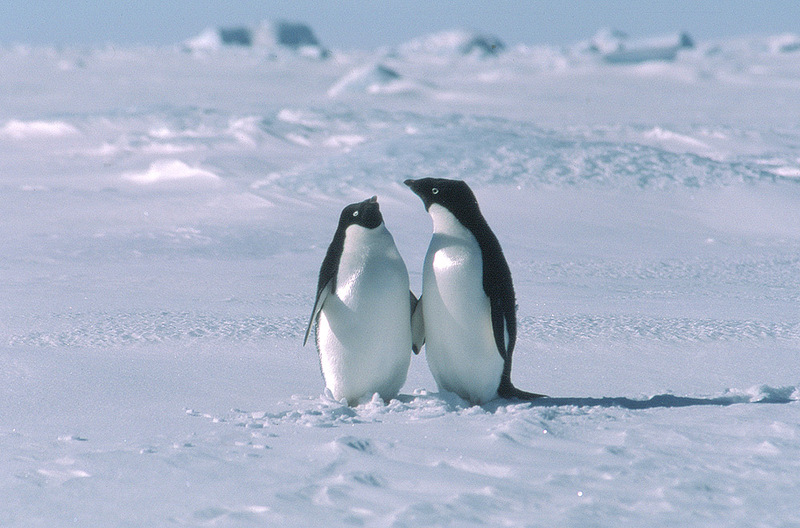 - where did you come from? 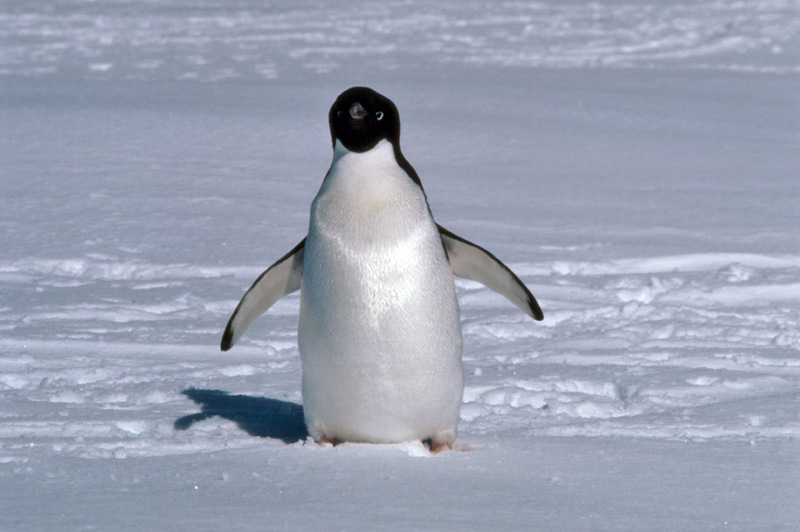 Is this a penguin? Wait until his father gets home!